Interactive learning, corporate connections and guest lectures are vital parts of your learning experience at FS. The opportunity to put theory into practice and network with some of the biggest names in the industry allows you to gain exclusive insights and prepares you for the realities of the working world. 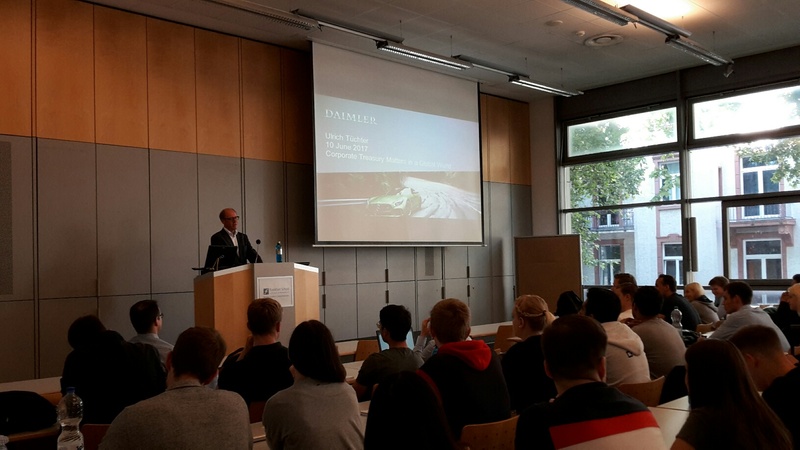 Daimler International Finance B.V’s Chairman of the Supervisory Board, Mr Ulrich Tüchter, visited FS for a Master of Finance guest lecture. 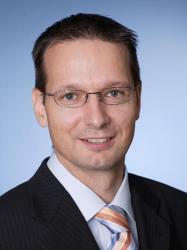 He has been serving as a Director in Daimler AG treasury department for almost 20 years and today is in charge of the group cash management, market execution in FX, commodities and short term debt markets. The Master of Finance students gained insights on these areas as well as insights on active FX management of 20 different world currencies, the optimization of Daimler’s liquidity position through global cash management pooling of worldwide activities on a daily basis and the prudent financing strategy with no dependence from single markets, instruments, banks or investors through the diversification of funding sources and instruments mainly bank loans, bonds, asset backed securities, commercial paper and deposits to achieve a matched funding in terms of interest rates, currencies and country exposures. Following the lecture, students asked Mr. Ulrich Tüchter questions about the industry, his experiences and also advice for their futures. When asked what he considers to be the most valuable skill for students when starting their career in financial markets he answered “dedication to the job” and “willingness to constant learning” because the financial world , especially the debt markets are in a rapid renewal process. Studying doesn’t stop once you leave the classroom and willingness to learn is essential for an ever-developing environment. The Master of Finance students put their freshly gained knowledge into practice by completing a real- life Daimler case study over the course of the day. Preparing a pitch for upcoming Daimler bond and ABS issues really did allow students to get a feel for the industry. New contacts, news insights and feedback from experienced professionals are what make the Master of Finance an enriching and fulfilling learning experience. There’s much more than just what goes on inside the classroom and FS lets you experience that.